The Congress and JD(S) leaders on Wednesday ridiculed BJP’s threat of ‘political dhamaka’ in the state and fall of the coalition government. 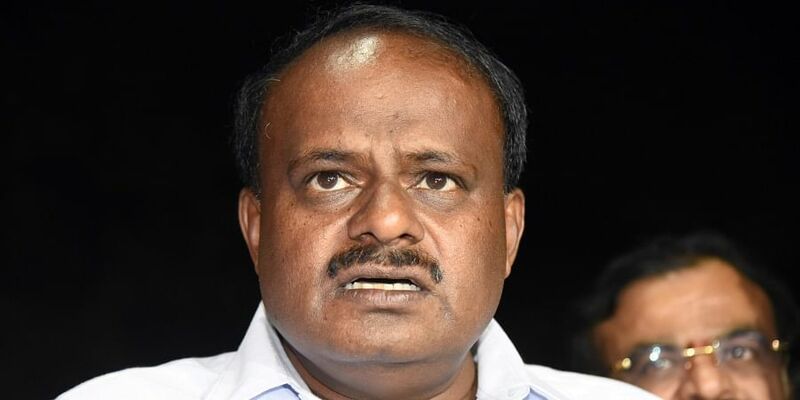 BENGALURU: The Congress and JD(S) leaders on Wednesday ridiculed BJP’s threat of ‘political dhamaka’ in the state and fall of the coalition government.“The coalition government is rock-solid and there is no threat to it,” said CM H D Kumaraswamy while reacting to senior BJP leader and Union Minister Prakash Javadkar’s ‘political dhamaka’ comments in Jaipur on Wednesday. The BJP leader had reportedly stated that the coalition government in Karnataka would soon collapse and the BJP that has emerged as the single largest party in the state with 104 members in the assembly will form the government. Backing their national leader, many BJP leaders in the state too stated that the government’s days are numbered. Former deputy chief minister and BJP leader R Ashoka had mentioned that some of the MLAs from the coalition are in touch with them and assured that BJP would form the government in the state. Opposition leader in the state Legislative Council Kota Srinivas Pujari too had stated that many “disgruntled Congress MLAs” are in touch with BJP. “Ramesh Jarkiholi is mentally away from the coalition government and he naturally has a soft corner for the party in the opposition. We will welcome Jarkiholi if he wants to join BJP,’’ added Pujari. Stating that the party will not indulge in horse-trading, the BJP leader said if legislators from other parties are keen to join BJP, the party will take their support and form the government in the state. CM said they have been hearing such threats since six months and it only shows the “frustration” of BJP leaders. Water Resources Minister DK Shivakumar said by making such statements, the BJP leaders are admitting that they have indulged in horse-trading.“We may not be as intelligent as the BJP leaders, but we are aware of all the developments and know how to tackle it,” the Congress leader said.